YouTube introduced a dark mode for its desktop app last year, then rolled it out for iOS users in March this year. 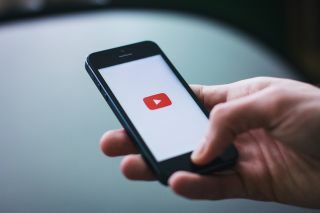 In July, Google announced that Android users would be able to switch from the usual white background on YouTube to the new dark theme, but that seems to have been a very limited rollout. However, after waiting months for it, all Android users can finally enable Dark Mode on their mobile apps. Some Redditors spotted that the latest release of the Android YouTube app, version 13.35.51, is rolling out more widely with the option to enable Dark Mode. If you’d like to enable YouTube’s Dark Mode on your Android handset, just open the app, go to the settings pane and tap on General. You’ll see the toggle switch for enabling the dark theme. If, however, you can’t see the option, 9to5Google suggests removing the app from your Recents menu and relaunching again to trigger the update. If that doesn’t work, you could either try updating it via Google Play or sideload the installer from APK Mirror. If you’ve set it up already, then welcome to the dark side. Did you know that YouTube on Android now also has a new Incognito mode?